Friends of Scouting is the one time each year when parents, volunteers, and Friends of the District are asked to contribute financially to support the Baltimore Area Council. Friends of Scouting funds go toward behind-the-scenes expenses the Baltimore Area Council incurs during the year that we are able to take advantage of. 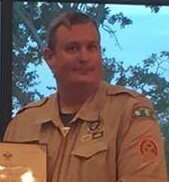 Examples of expenses include: Operating costs for the council camps, the Scout Shops and the Council Service Center; District and Council programs and activities (such as Day Camps and Camporees), Adult Leader Training, and paid Accident and Sickness insurance coverage for all registered youth and leaders. Friends of Scouting donations also provide Campership Assistance for Scouts whose families would not otherwise be able to afford to have their child join Scouting or to send their child to camp. Thank You for your generous support of Friends of Scouting and the Baltimore Area Council!